Jim Cramer's "Off the Charts" segment on CNBC's Mad Money used Carley Garner's Treasury and U.S. Dollar analysis on the January 13th show! DeCarley Trading works hard to provide clients with quality insight into the markets. One of our recent issues of the DeCarley Perspective focused on this topic was featured on CNBC's Mad Money on January 13th. The DeCarley Perspective is a publication distributed exclusively to DeCarley's brokerage clients. If you are interested in being part of the loop, open a trading account today! 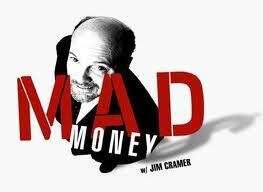 Click here to check out the video archive of the January 13th Mad Money segment featuring DeCarley analysis. If you would like to open an account to trade via one of our state-of-the-art trading platforms, or with an experienced broker, click here. *There is substantial risk of loss in trading futures, options and FOREX!